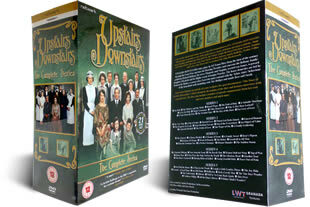 Complete 21 dvd Upstairs Downstairs boxset, every episode of the brilliant Tv show delivered FREE in the UK and in stock. Please note this is the special edition collection that contains many many extras. Not to be confused with the blue boxed cut down version. Contains every episode of the classic comedy of manners. One of the most popular shows on British television in the 1970's, UPSTAIRS DOWNSTAIRS offered an amusing comedy of the lives of a rich family, who live upstairs, and their servants and staff, who all live downstairs. Although comedic in its outlook, the show did highlight a number of points about the class divide in the UK, and ended up winning a substantial amount of awards as a result. This is the larger complete set on 21 dvds. Packed with extras including The Story of Upstairs Downstairs, which is just 1 of 5 exclusive documentary's included, commentary's, variant versions of some episodes, interview with the musician who composed the theme music, archive interviews with the lead actors, plus the 1985 Christmas special and more. The box set contains 21 dvds, contained in 3 large cases, has no subtitles at all, and is region 2, aimed at the UK and Europe, South Africa and Japan. Please check online for region codes. For more information on Upstairs Downstairs click here to visit Wikipedia. An EXCELLENT product. 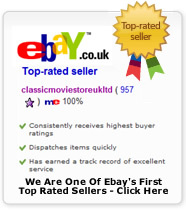 I would highly reccommend not only the quality and information but also the host of extras. A real treat. I haven't yet checked each DVD in the player, but I have checked the DVD numbers and I am happy that they are all there and that I got what I paid for. Thank you for your prompt and efficient service and it is likely I will be buying from you again. Really quick delivery and an excellent price, my husband was chuffed with his present. Would buy from these guys again. Many thanks.